Broadcasters and podcasters around the world are gathering in Philadelphia this week for the Podcast Movement conference. Brits speaking or attending the event include Radio Futurologist James Cridland and Music Radio Creative‘s Mike Russell. Mike presents a daily live-stream about producing podcasts cleaning up audio improving the sound of your voice creating music sound design and more. Mike is a recognized expert on audio production and storytelling with 92K+ subscribers on his YouTube channel. He’ll be talking about “Well Produced Audio as Your Ticket to Success” on Wed, July 25, 2:30pm – 3:15pm local time. James Cridland runs a number of websites including podnews.net and is now based in Brisbane. He’s talking about Audience Acquisition on Tue, July 24, 11:00am – 11:45am local time. We’ve got a reporter in the event and we’ll tweet relevant updates as ever on RadioTodayLive.com and @RadioTodayLive. Here’s the schedule in full. 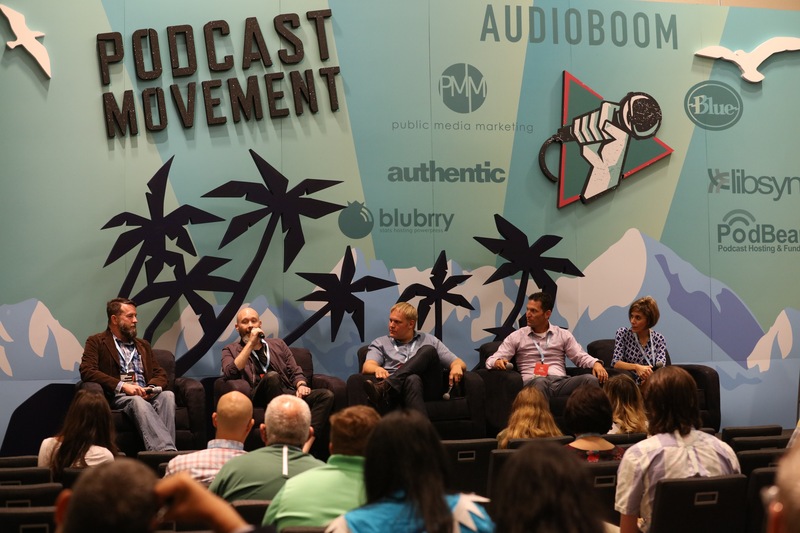 The #Podcast Movement 2018 app is the go-to resource for all attendees of #PM18. Whether you're looking to learn about the sessions, speakers and the exhibitors, or interested in connecting with your fellow podcasters.